Slydale Hollow: DIY Ceiling lights. After buying lights for the lighthouse I had a few left over & decided to experiment with decorating them to use in houses. coloured light card or scrap booking paper. 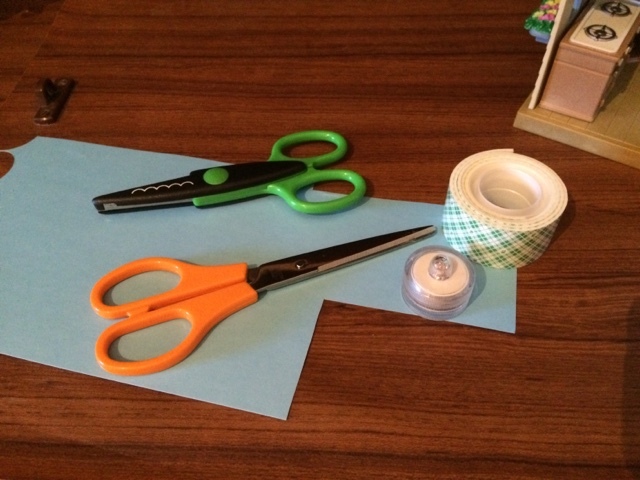 Measure 10cm x 1.5cm of the paper with the straight scissors, then trim one edge with the wave cut scissors. Attach around the lower half of the tea light with double sided tape. Attach to the roof of your house with double sided tape. The ones I bought twist on & off. If the tea lights you buy have a different on/off mechanism you might need to adjust this the suit them. Also you can use ribbon or lace instead of paper, & if you don't have double sided tape you can use glue, but I found that a bit tricker (as you have to be careful not to get glue in the light mechanism or accidentally glue the light together). What a great idea to use a tealight. 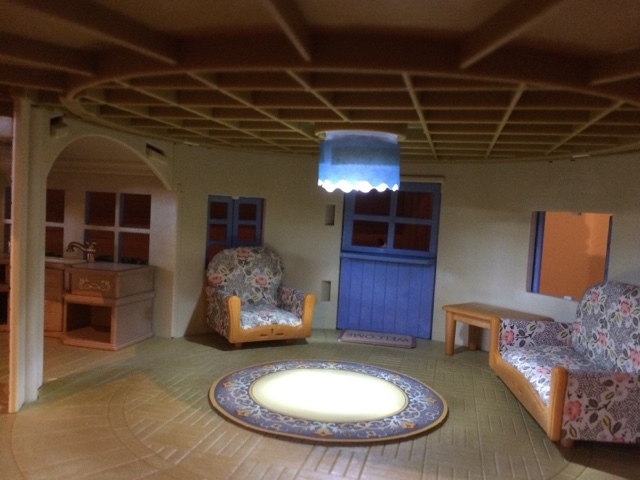 It looks very nice, sylvanian lights are so expensive and the set only comes with two lights and two curtains so this is a great idea to make the light! As I commented on the forum I thought of buying these lights but I never thought of using them for the ceiling.Good idea to put some paper or ribbon around.I bought the sylvanian set that comes with the light and curtains but I wasn´t very impressed about it.It wasn´t worth the price I paid for it. These lights seem to work well and are much cheaper. Now, that I´ve seen how they look like I´ll definetely buy some. Thank you Chill! I've had fun decorating these & I love how simple they are! I'm glad to help.